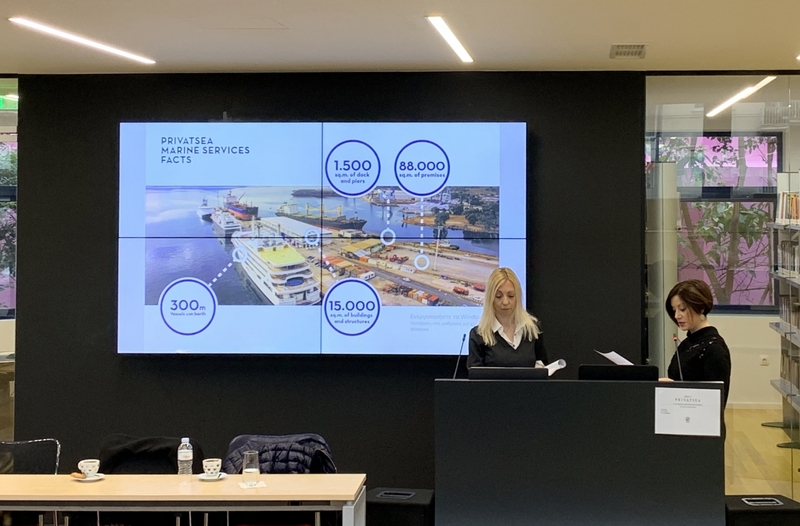 PrivatSea executives Ann Montebello (Hotel Department) and Angela Karali (Deck & Engine Procurement) were guest speakers in the Seminar for Procurement and Logistics organized for BCA college students on 16th February 2019. BCA college was founded 49 years ago and is the oldest college in Greece offering British University Degrees in 35 Bachelors and Masters academic programs that have been designed according to the needs of the international market. 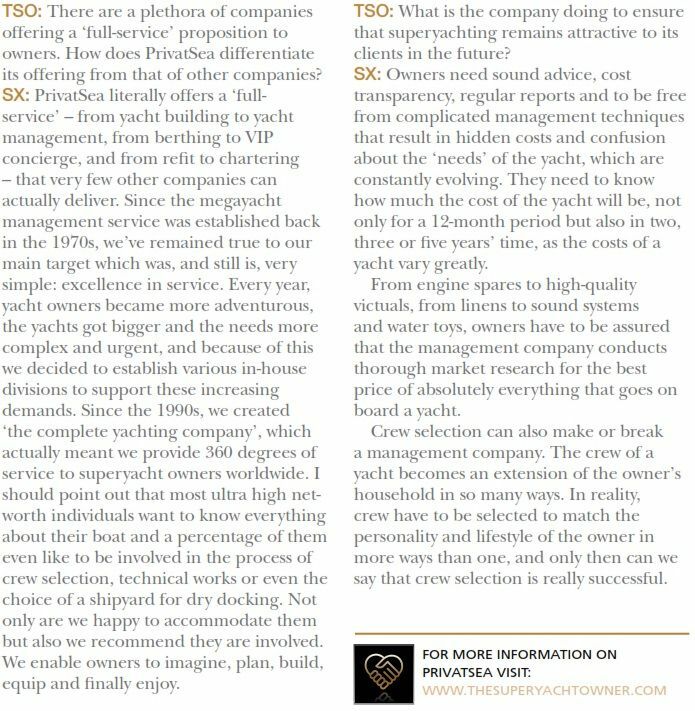 Ann and Angela introduced PrivatSea Yachting, PrivatSea Projects and PrivatSea Marine Services each providing a distinct service to the yachting industry while working closely with each other to create a fully integrated service to Owners and Captains. 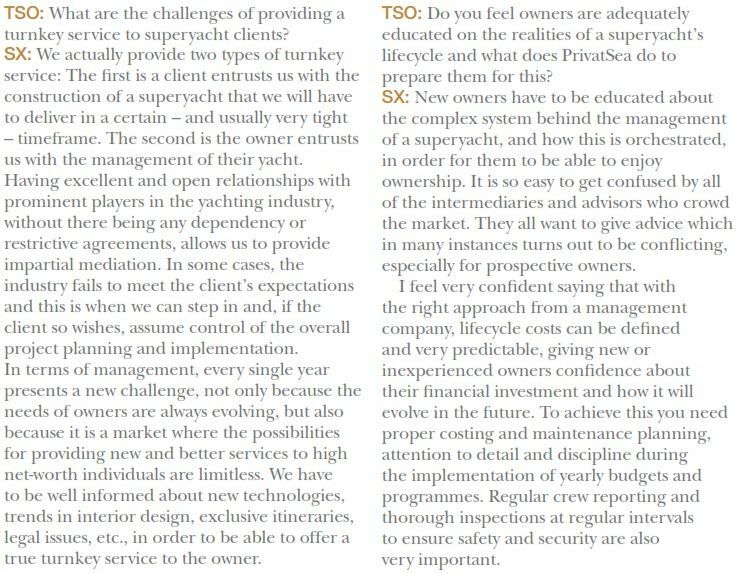 This introduction to the yachting industry was found to be very interesting and made the difference from the standard logistic and procurement procedures that are generally followed by bulk carriers. The students showed a great interest for the fast-growing yachting industry and raised many questions concerning the operation of the yachts and the approach of Owner’s needs starting from the design and maintenance to crewing, safety and insurance, technical, agency and voyage services, sales and charter, procurement and logistics. PrivatSea Marine Services is pleased to announce the appointment of Mr. Ilias Kalomiris as CEO. Mr. Kalomiris has a Diploma in Naval Architecture and Marine Engineering and a Master of Science in Marine Technology & Science from the National Technical University of Athens. He has extensive experience in ship and submarine building, as well as in the infrastructure of shipyards in Greece and abroad. He started working with PrivatSea in 2015 as a Technical Manager. PrivatSea Marine Services is one of the largest shipyards in the Eastern Mediterranean comprising 1.500m of docks and piers, 15.000sq.m of buildings and structures on 88.000sq.m of land. The shipyard is committed to provide the highest service standards at a secure environment only 25km from downtown Athens and less than 40 min from Athens International Airport. 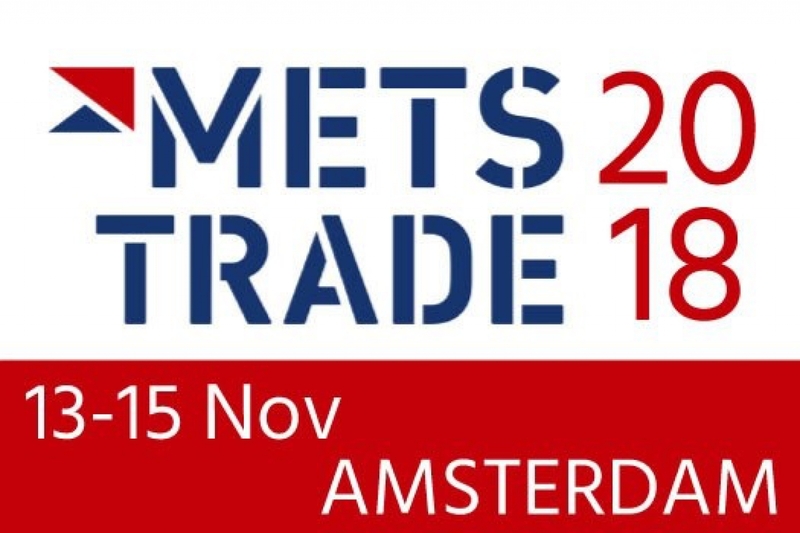 PrivatSea’s team attended METS the Marine Equipment Trade Show in Amsterdam, the largest trade exhibition of marine equipment, materials and systems. It is the only international B2B exhibition for the marine leisure industry and have served as a platform for innovation since 1988. Due to the advanced networking system, PrivatSea executives had the opportunity to arrange meetings with suppliers, connect with new traders and exchange information about the latest advancements in the yachting industry. 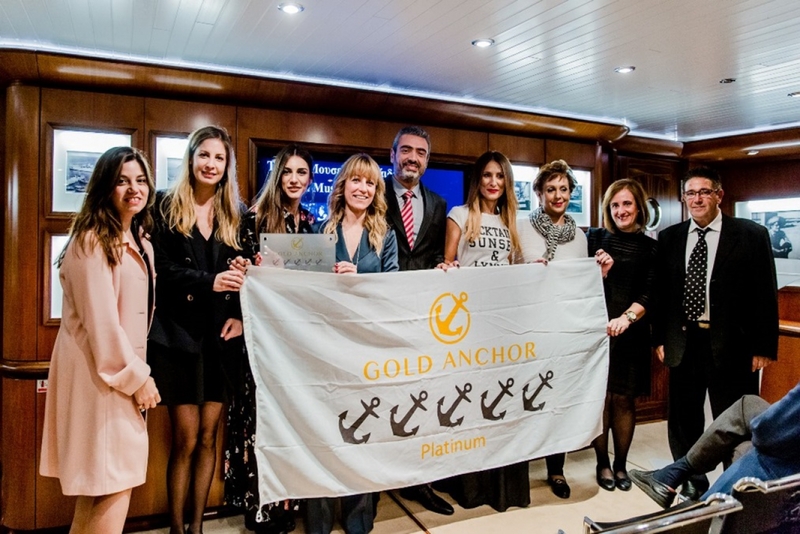 Flisvos Marina "5 Gold Anchors Platinum"
The Flisvos Marina, has received the prestigious “5 Gold Anchors Platinum” accreditation by the Global Gold Anchor Scheme, one of the world’s leading maritime accreditation institutions. Flisvos Marina is the first Greek marina to receive this accreditation. The 5 Gold Anchors Platinum is the institute’s highest distinction, which places the Flisvos Marina among the most remarkable marinas in the world for its exceptional premises and excellent services. To receive the award, the Flisvos Marina had to meet the demanding criteria set by the Global Gold Anchor Scheme and carry out a 15-month program to upgrade its facilities and services. For the 14th year, PrivatSea has participated together with Flisvos Marina at the Monaco Yacht Show. 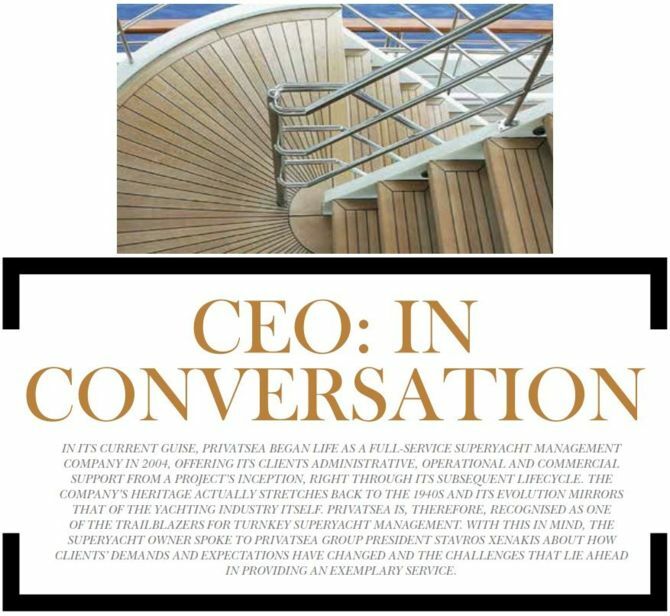 The most important event of the yachting industry took place in the iconic Port Hercules of the Principality of Monaco and the PrivatSea team had the opportunity to discover the latest news of the superyacht world. The Neraida Floating Museum at the "John Latsis Katakolo Port"
The port of Katakolo, the birthplace of John S. Latsis has been named as "John Latsis Port" in his honor during a ceremony that took place on Friday, September 14th 2018. 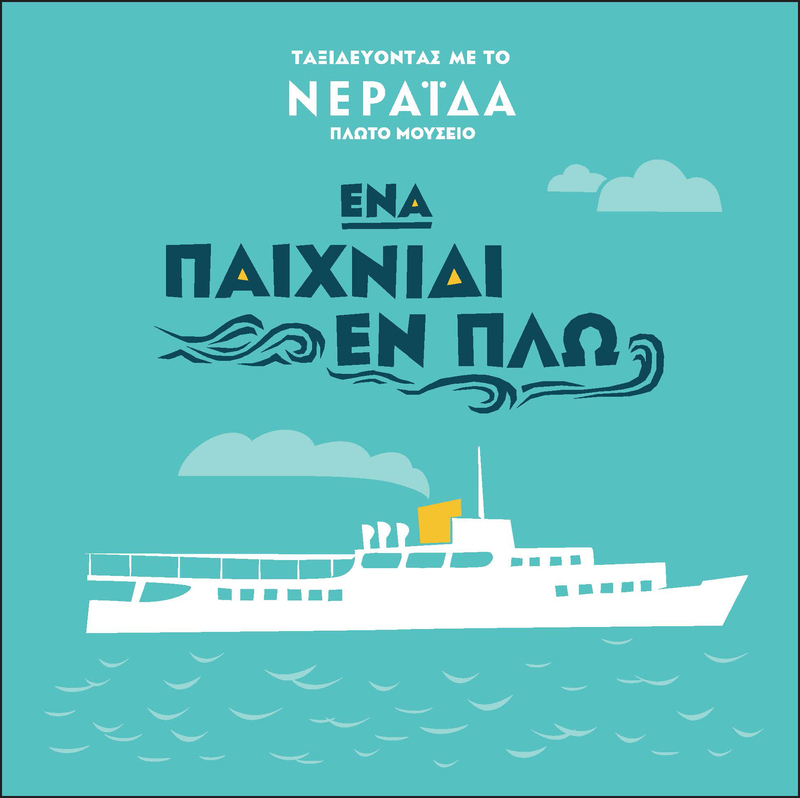 The Neraida Floating Museum was berthed at the “John Latsis Katakolo Port” between September 15th and 23rd, 2018 and was open to the public. For the 3rd consecutive year PrivatSea hosted a private gathering at the Principality of Monaco during the Grand Prix Race on 27th May. 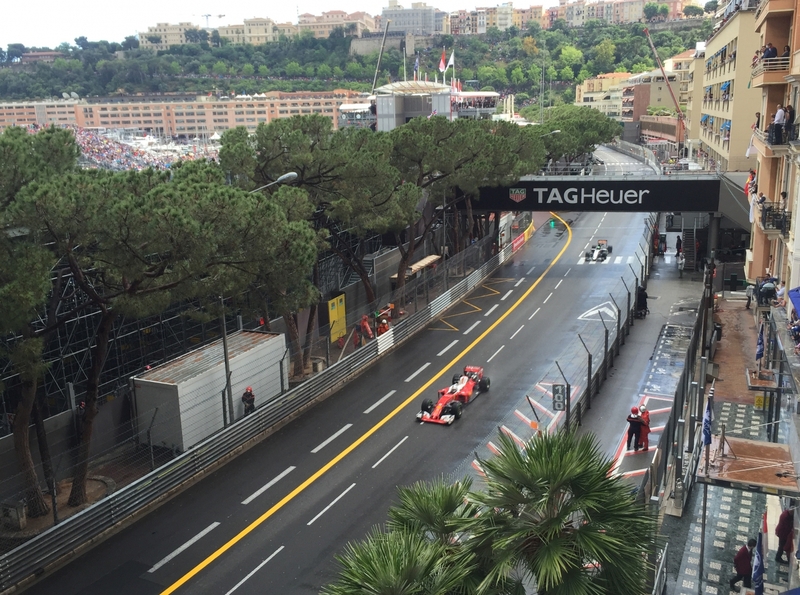 As the offices of PrivatSea in Monaco are situated right on the Race track on Avenue Albert Premier, the view to the Race is one of the best in the Monegasque Track. 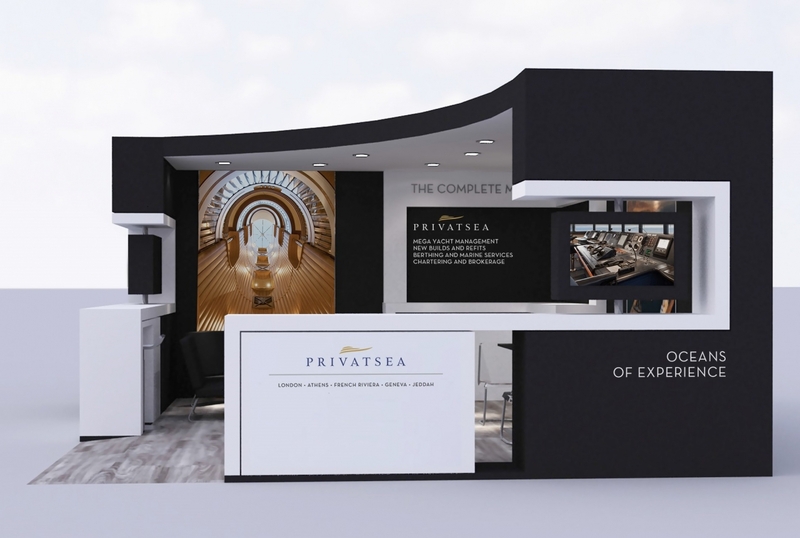 PrivatSea has participated for the 13th consecutive year at the Monaco Yacht Show with a brand-new stand design. Each year, the show curates the exhibition of 125 extraordinary one-off superyachts built by the world’s most respected shipyards and welcomes 580 leading companies from the yachting industry. 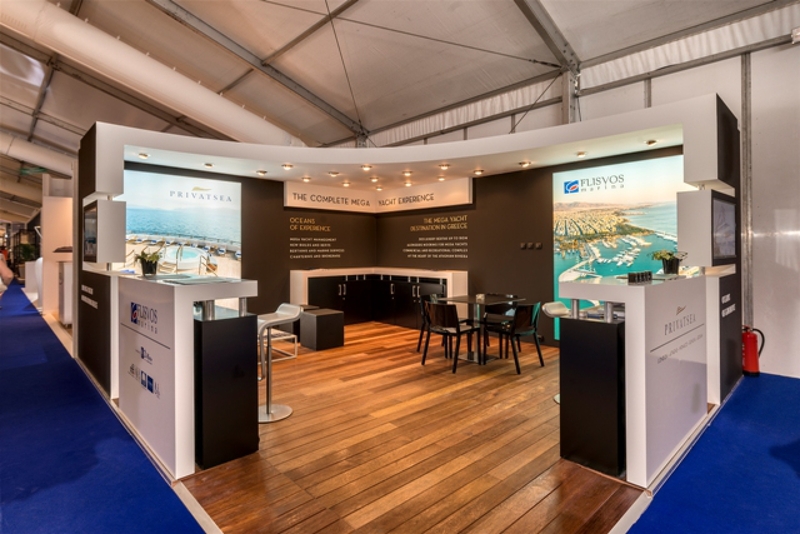 The stand was paired with Athens’ Flisvos Marina, Greece’s mega-yacht destination, exhibiting at the exclusive Parvis Piscine and presenting the Company’s range of fully integrated services and facilities. 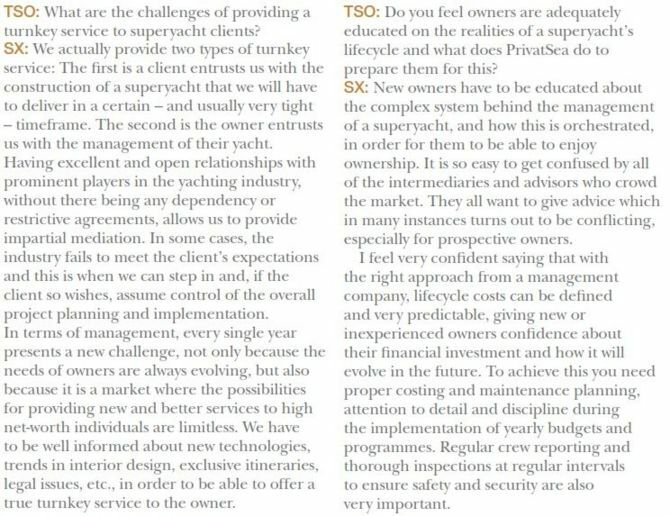 PrivatSea’s executives had the chance to meet mega yacht industry professionals, be informed about the latest concepts and new trends helping to provide to Owners the highest quality of services. PrivatSea is pleased to announce that will be part of the world’s most prestigious yachting event. 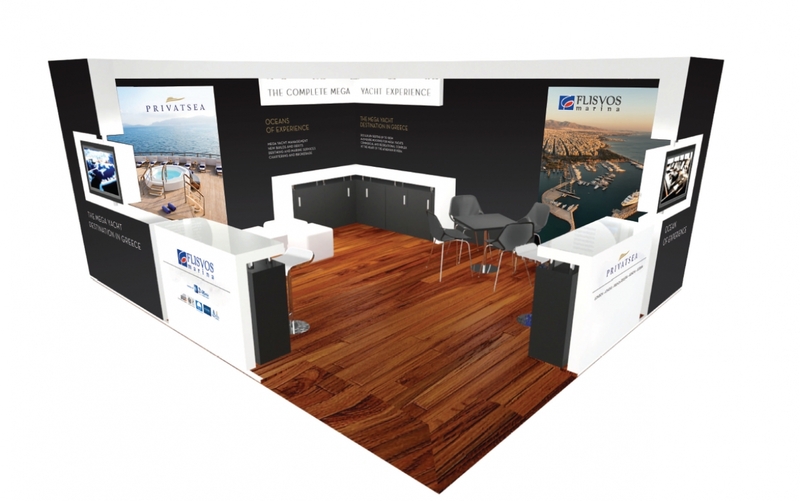 For 4th consecutive year, the Company will co-exhibit with Flisvos Marina, the mega yacht destination in Greece, at Parvis Piscine, Stand QP19, with a brand new desing. From September 27 to 30, PrivatSea’s executives will have the opportunity to meet professionals from the yachting industry and discover the latest market trends. What stories lie in the Neraida's past? What are the memories that her exhibits bear? Known and unknown snapshots of the vessel's history will be revealed during the four thematic guided tours which will mark the occasion of International Museum Day 2017. The International Museum Day is an anniversary event of international concern, that is every year dedicated to a different thematic, related to musems and the protection of cultural heritage. In 2017 the International Council of Museums (ICOM) has selected the thematic "Museums and controversial stories: museums speak for what cannot be said". 13 & 14 May, 20 & 21 May at 18:00. There will be a first-come-first serve priority list. The Neraida Floating Museum returns to Flisvos Marina and opens once again her doors to the public. 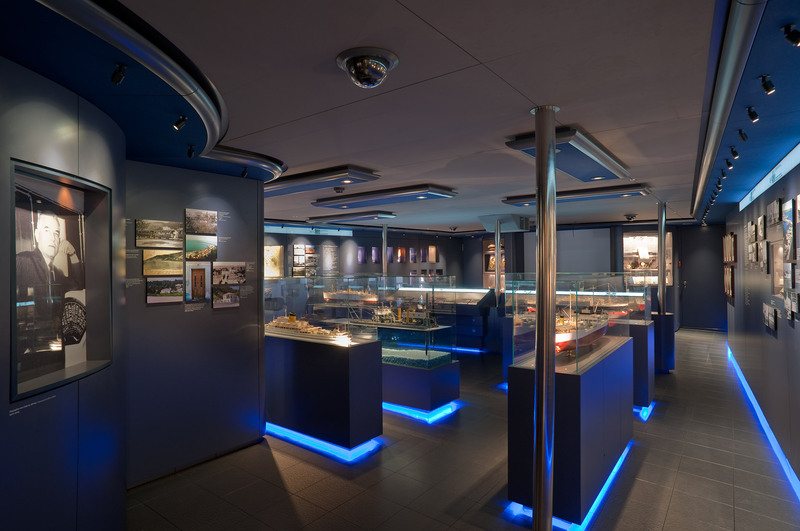 The Museum -with the collaboration of John S. Latsis Public Benefit Foundation- organizes the educational program named ‘Sailing on the Neraida. A Game Aboard’ for children aged 6-12 years, families or schools. The program includes team activities and games by specialized museum instructors. 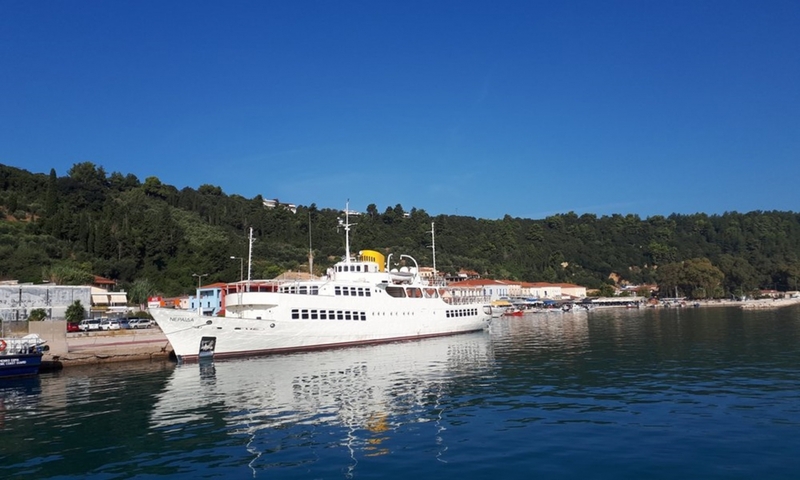 The children have the chance to explore the historic ferries of the Saronic Gulf, become familiar with the history of the Greek shipping and investigate various topics such as travelling and the sea, communication and transport, people and memories. PrivatSea Marine Services is one of the largest shipyards in the Eastern Mediterranean comprising 1.500m of docks and piers, 15.000sq.m of buildings and structures on 88.000sq.m of land. 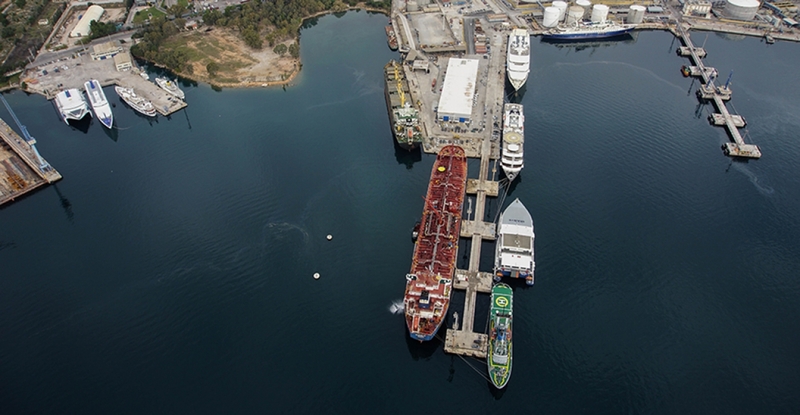 Competitive pricing for alongside berthing and all year mooring for large vessels up to 300m make the facility one of the most attractive yards for repairs and maintenance in the region. 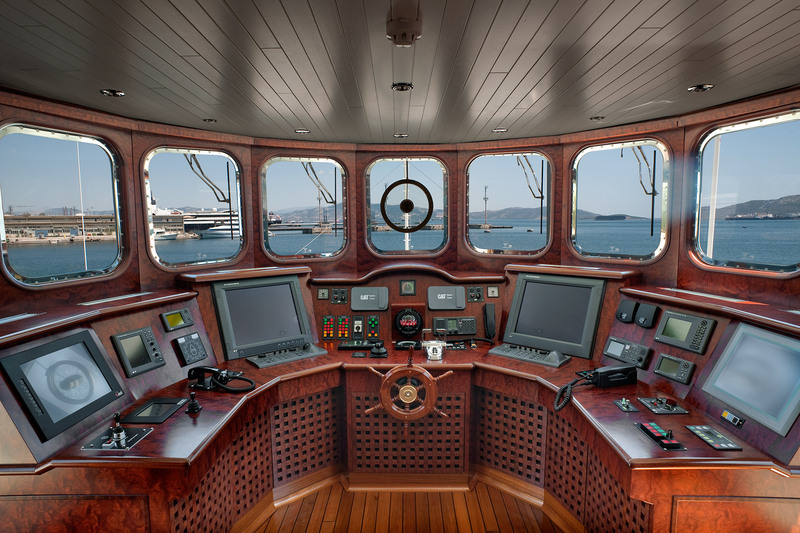 PrivatSea Marine Services is committed to provide the highest service standards at a secure environment only 25km from downtown Athens and less than 40 min from Athens International Airport. 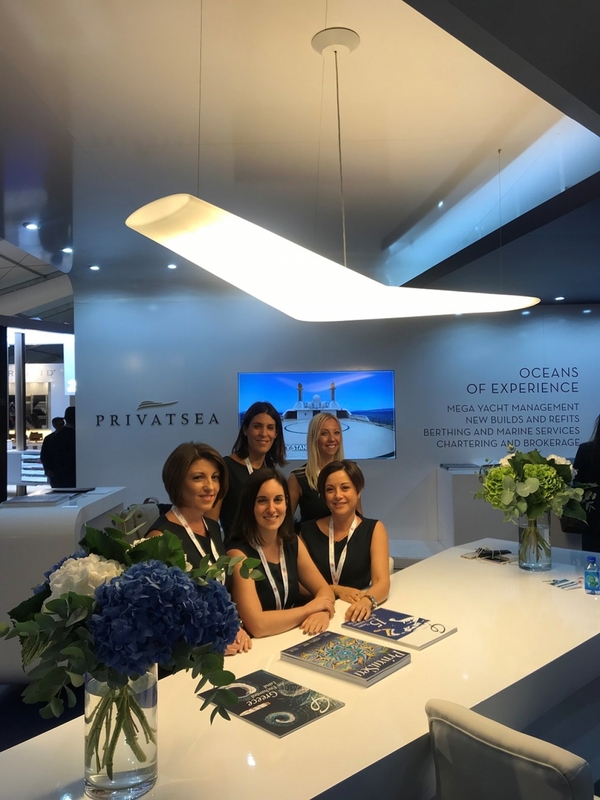 PrivatSea has successfully participated to the 26th Monaco Yacht Show, a spectacular exhibition that every year reflects the constant changes and new trends in the yachting industry. This year more than 580 companies participated covering all sectors of the industry, 125 mega yachts were on display including 40 new builds launched in world premiere. Our executives had the chance to explore and the latest trends in naval architecture, technology, yacht accessories and even luxury transportation and aviation companies. After participating at the Monaco Yacht Show for the last 11 years, PrivatSea is pleased to announce that will be part of the world’s most prestigious yachting event. For the third time, the Company will co-exhibit with Flisvos Marina, the mega yacht destination in Greece, at Parvis Piscine, Stand QP19. 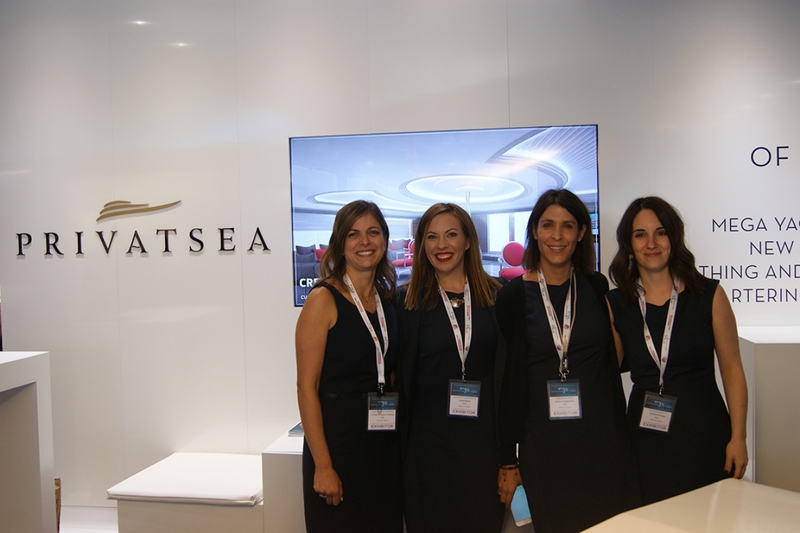 From September 28 to October 1, PrivatSea’s executives will have the opportunity to meet professionals from the yachting industry and discover the latest market trends. 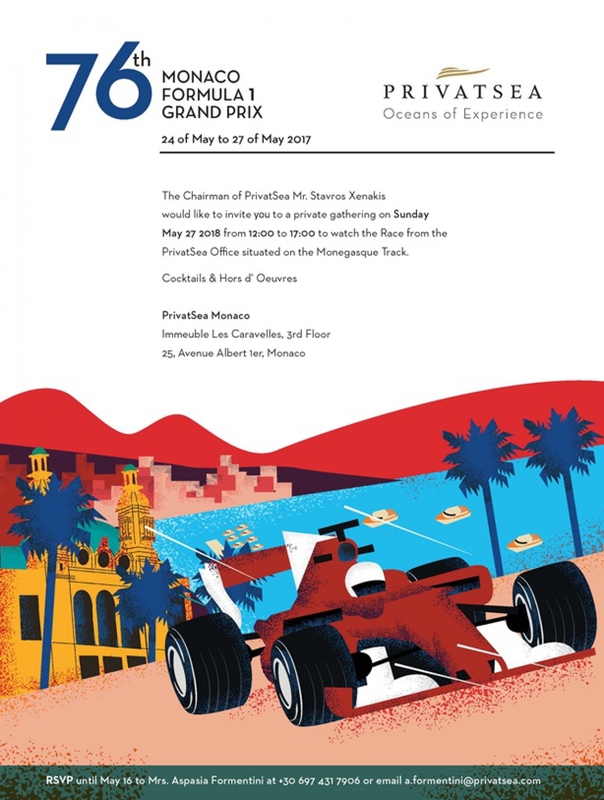 PrivatSea has hosted its latest event at the Principality of Monaco during the Grand Prix race on 29th May. It was held at the newly established PrivatSea office at Immeuble Les Caravelles, 25 Boulevard Albert Premier, enjoying the full panoramic view of the racing cars, enthusiastic supporters, ambiance and the port of Monaco. PrivatSea was pleased to participate for the 11th consecutive year at the Monaco Yacht Show - the world's most prestigious yachting event. 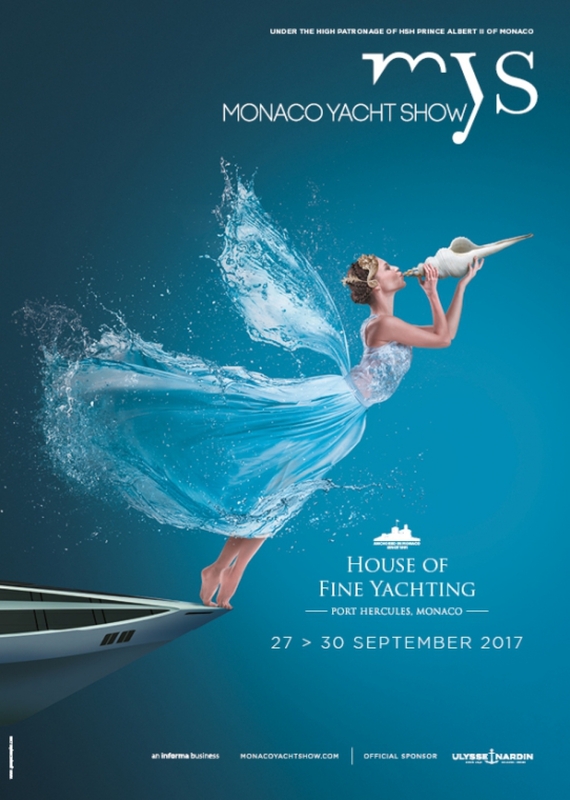 In 2015, the Show had a record of 34.500 visitors, 120 superyachts on display, 582 exhibitors and partners from the world’s leading luxury yachting companies, amongst which the trendiest superyacht builders, yacht designers, luxury manufacturers and the most important brokerage houses. 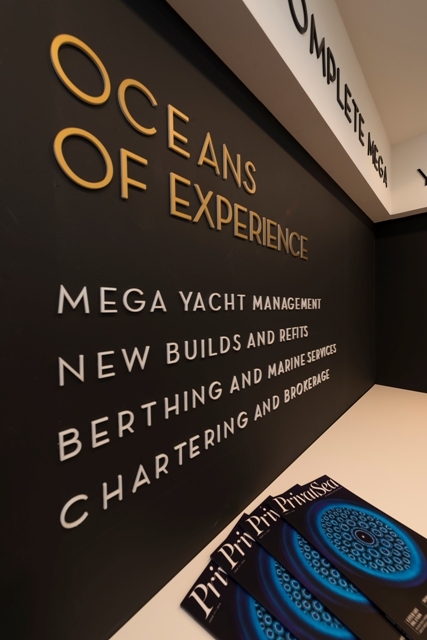 The event gave PrivatSea a chance to connect with suppliers and subcontractors while discovering the latest market trends in the world of superyachts. For the 11th consecutive year, PrivatSea is proud to be part of the world's most prestigious yachting event - the Monaco Yacht Show. The Company is exhibiting with Flisvos Marina -the mega yacht destination in Greece and winner of many international awards- at Parvis Piscine, Stand QP19. 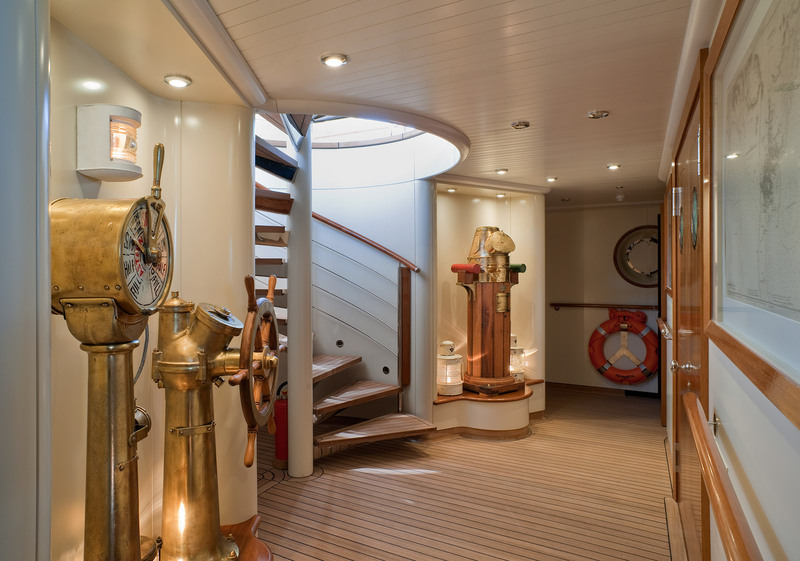 Neraida Floating Museum sails back to Leonidio, almost 40 years after her last visit and will be open to welcome visitors from the 1st until the 8th of September 2015. An educational program for children aged 6 to 12 will be carried on board daily 10:30 to 11:30. 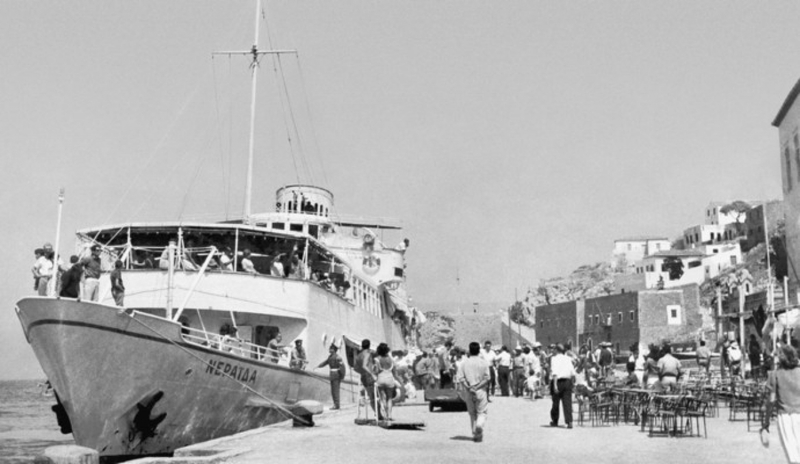 The passenger vessel “Neraida” was built as “Laurana” in 1939 at the Cantieri Navali Del Quarnaro Shipyards in the then Italian city of Fiume (today Rijeka, Croatia). She was used for coastal shipping routes at the Adriatic Sea and as a rescue ship during World War II. After she was captured by the British, she was used for the coastal service between Malta and Syracuse. 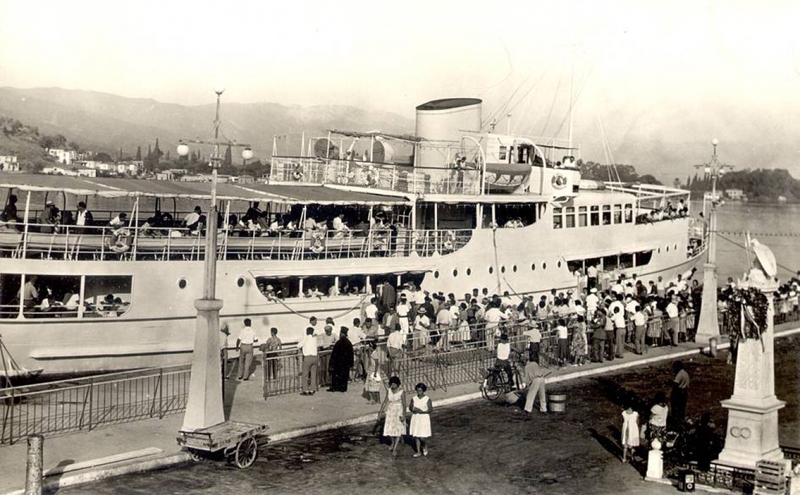 In 1949 she was purchased by John Latsis and, after restoration works, she was routed in the Argosaronic Gulf line and renamed “Neraida” (which means fairy in Greek). This route, that includes Aegina, Methana, Poros, Hydra, Hermioni and Spetses, was serviced by the “Neraida” for about 25 years, carrying locals and tourists. Frequently, the route was expanded, in order to include other destinations as well, such as Leonidion, Monemvasia and Epidavros. After her withdrawal from the line in 1974, she remained ashore for about 35 years without being taken for scrap, as her owner John Latsis recognized her importance for his first steps in the business world. In 2007, four years after her owner’s death, the “Neraida” was transported to NCP Shipyards at Sibenik, Croatia, for her conversion into a floating museum. Refurbishment works were completed in 2010 and the vessel returned to the Greek waters. In the summer of 2013 the vessel raised the Greek flag again and in September she once again sailed for her traditional route : Spetses, Hermioni, Hydra, Poros, Methana and Aegina. As a museum, she welcomed thousands of visitors, presenting her owner’s history as well as her own. Until today 28.000 people have visited the historical vessel.